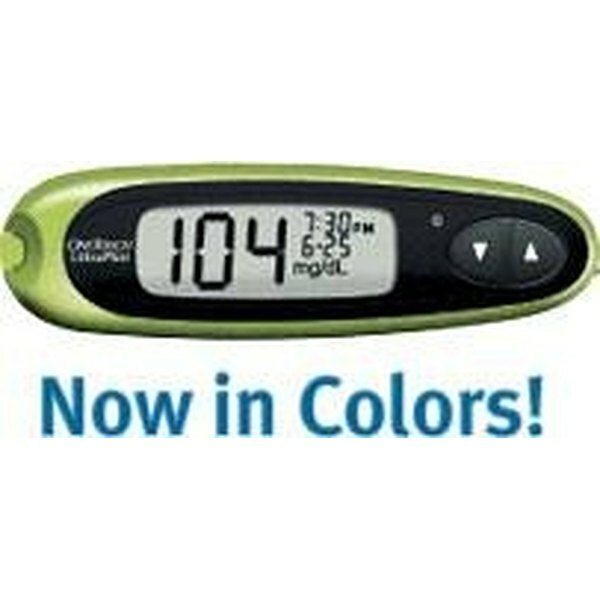 The One Touch Ultra Mini is one of the smallest blood glucose monitoring systems on the market. You can purchase this small tester at almost any drugstore or superstore. Additionally, you may be able to qualify for a free one from the company that makes them, LifeScan. The Ultra Mini is small enough to fit just about anywhere: your pocket, your purse or even clipped to your belt. Using the One Touch Ultra Mini is easy. Open the box the device came in and familiarize yourself with all the parts and pieces. In addition to the One Touch Ultra Mini blood glucose monitoring system, you will find a lancing device, the control solution, a small number of lancets, a few test strips, a clear cap for testing on your arm, carrying case, log book, batteries, owner's book and quick start and reference guides. Once you are familiar with all the supplies, code your One Touch Ultra Mini so you can use it to test your blood glucose. Put the batteries in the machine prior to doing anything else. Once that is completed, take a test strip from the supply provided, put the strip in with the three bars in the open end of the machine (where it says One Touch Ultra Mini), when the numbers show up, use the up and down arrows on the right-hand side of the machine to set the number to the "code" number on the bottle of test strips you are using. The code number is found on the right-hand side of the bottle under the word "code." Now that your machine has been set to the proper code, take out the test strip and re-insert it. When the machine has changed from the code to a line with the picture of a blood drop, take your control solution and drop the drops onto the clear part of the test strip. The meter will start to count down and then provide you with a number. Match that number with the numbers on your test strip bottle to ensure the machine is within the code range. You can find the code range on the back side of the test strip bottle, near the bottom under the expiration date of the test strips. To set up your lancet device, remove the cap from the lancet device in a slightly angled motion (do not just pull off). Place a lancet you have from your kit in the lancet device. Screw off the cap so the sharp end is showing. Replace the cap on the lancet device. To test your blood glucose, make sure your hands are washed thoroughly with soap and water and completely dried. Take a test strip from the bottle and place it in the One Touch Ultra Mini. Make sure the code that appears matches the bottle of strips you are using. Take your lancet device and prick your finger. Place the blood on the open end of the test strip until it is full and the countdown begins. The meter will display your blood glucose in about five seconds. Make sure you always wash your hands before you test. Additionally, check the expiration date on your test strips to make sure they have not expired. Sherri Smith has been a writer all her life, usually with poetry, but now articles, essays and blogs. She has her own freelance writing business and works from home. Smith is also a personal virtual assistant, having more than 15 years of experience in the administrative/office environment.